Contact Us | Commercial Gear & Sprocket Company Inc.
Commercial Gear & Sprocket Company Inc.
Let Commercial Gear solve the problems you are having with your present gear & machining supplier! We welcome the challenge! 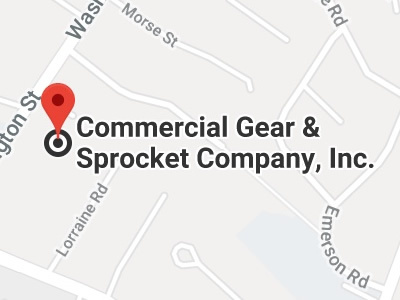 Commercial Gear & Sprocket Company, Inc.